Ben Kallos, left, has been a very young godfather for Roosevelt Island seniors. Seniors remember the bad old days, the lack of programs and, with remorse, the discovery that a community-based group that was supposed to help them had, instead, looked the other way while its own staff stole tens of thousands to enrich themselves. That changed when the Department for the Aging, which funds much of the Senior Center's activities, acted decisively, throwing embedded local managers they believed untrustworthy out and replacing them the Carter Burden Network. CBN's sparkling reputation for serving seniors at several centers around town had earned the trust of City Council Member Ben Kallos. When a crisis arose, Kallos championed CBN as the folks best able to help Roosevelt Island's elderly. Kallos became CBN's godfather on Roosevelt Island. His support, both financial and moral, continued every year since. Through Kallos's influence, the Senior Center gained sponsorship of art classes from the Lower Manhattan Cultural Council and the 92nd Street Y, fitness classes with Shape Up NYC, Asphalt Green and New York Road Runners. 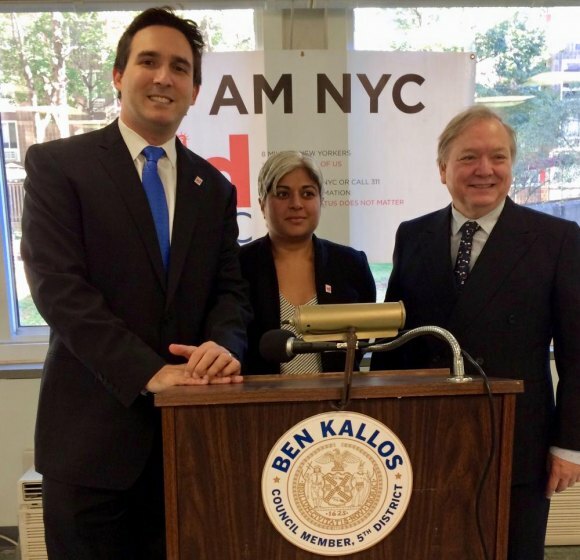 It's hard to imagine the dynamic, busy Senior Center we have today without Ben Kallos. CBN's annual meeting for the community, spring of 2018. Given only a month of side-by-side assistance from DFTA to get their feet settled at 546 Main Street, CBN, lead by Director Lisa Fernandez, outreach manager Hallie Shapiro and case worker Yulisa Santana, added programs serving more seniors right away. In the early months, conversations centered on a steady increase in meals served to seniors and an unexpected influx of men who now overcame a reluctance for using programs and services at 564 Main. 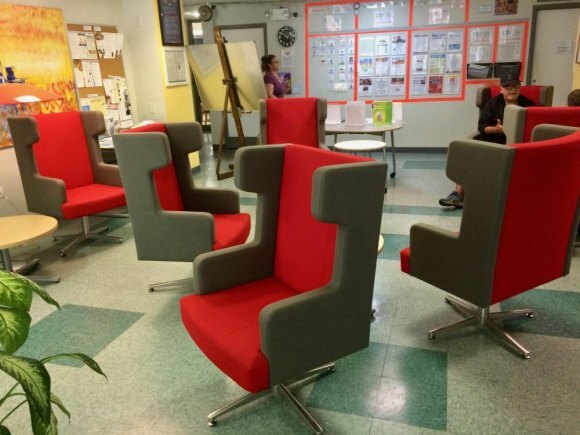 Cornell Tech donated comfortable chairs for the Senior Center lounge. Local heroes always pitched in. It was rare that a week passed by without Mary Coleman and Wendy Hersh showing up to offer help. Judy Berdy added community insight and set aside time for almost any initiative. All three still do. Lynne Strong-Shinozaki was indispensable to the growing success, instructing classes, volunteering for anything and everything. Louella Streitz connected with DASH's in-home care for shut-ins, an initiative pioneered by "Roosevelt Doctor" Jack Resnick. And less visible because, well, it's just what they always do, Urban American and its manager Doryne Isley provide seniors the generous space in which CBN operates. Isley and her staff make sure things are fixed and functioning, recently installing new lighting, for example. Same with the City, which through DFTA funds senior centers across all five boroughs. And Cornell Tech? Jane Swanson, who handles their community outreach, is frequently on hand to listen and evaluate. Along with practical needs, like comfortable chairs for the lounge, the school's also contributed web literacy classes and more. 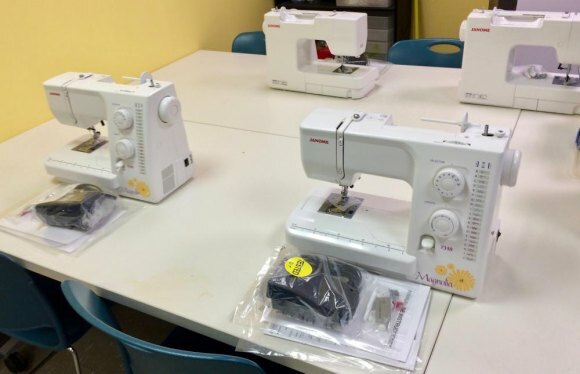 A sewing program contributed by the Ravenswood Power Plant management became so popular, extra funding was sought. Even RIOC stepped in. On a recommendation from Swanson, Steve Noone joined in a conversation about upgrading the garden that's a peaceful retreat tucked in between Roosevelt Landing's high-rises. Noone, who until recently managed an array of projects for RIOC, learned about a longterm flooding caused by poor drainage and brought in a crew that quickly diagnosed the problem, then fixed it. Noone's gone, but his help won't soon be forgotten. What goes less noticed is CBN's own voluntary contributions, some intangible, that have been crucial. CBN was never required, for example, to pull one of its most valued managers, Lisa Fernandez, from another program to make the extra long commute to Roosevelt Island, and it's far from clear that the Center would've achieved similar results without her. Nor did CBN have to recruit a valued ex-employee, Hallie Shapiro, to return long enough to add her strength of character, imagination and energy as Fernandez's sidekick. CBN's recruiting prowess can be seen with the additions of Yulisa Santana, now outreach director, and case worker Fred Colero, both of whom won the trust of seniors. Holiday parties are regularly paid for by CBN, without compensation from DFTA, and quietly, the nonprofit corporation has responded with funds when popular programs spur needs not covered by City allocations. 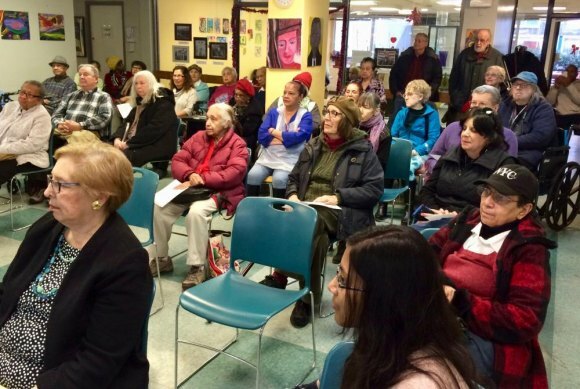 When you see how a family of support turned a broken Roosevelt Island Senior Center into a role model, the failure of the its elected community representatives on the Common Council to support it embarrasses everyone and insults the senior community. Everyone, it seems, including some who don't live here, tries to help our elderly have better lives, everyone, that is, except the Residents Association Common Council, which spurned their request for Public Purpose Funds for reason's too shallow and self-serving to be reported.